In the not too distant future our motor vehicles may be much smarter and be able to tell if the driver has consumed alcohol without having to breathe into an alcohol ignition interlock device which are currently installed into the vehicles of motorists who have had a DUI, The Wall Street Journal reports. The new devices could be embedded in a starter button or shift lever. Nearly one-third of drivers killed in car crashes have been drinking with blood alcohol levels of 0.08 or higher, according to the Insurance Institute for Highway Safety. In the next ten years or so, experts believe that the Driver Alcohol Detection System for Safety (DADSS) could be available for all vehicles regardless if you have a history of drinking and driving. There has been a bill proposed that would give the NHTSA’s alcohol detector program $24 million over two years period. This would allow the agency to equip 100 or more cars with the new alcohol detection device prototypes. 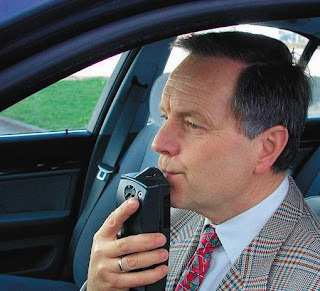 One device would measure alcohol in the driver’s breath and the other would take a reading from the driver’s skin. The people working on creating the new system are working with the Alliance of Automobile Manufacturers and the National Highway Traffic Safety Administration (NHTSA). The Wall Street Journal article points out that the next goal would be to develop vehicles that would drive a drunk owner home. 16 states require those with a history of DUI’s to install alcohol interlock devices in their vehicles. If the driver has consumed even a drop of alcohol, whether from mouth-wash or a cocktail, the vehicle will not start.